The Kodiak Canvas Truck Tent 8 ft. bed length fits Full-Sized and Long Bed Trucks. Dimensions are determined by measuring inside the truck bed with tailgate up. 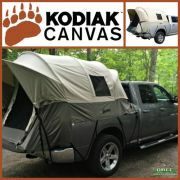 The following trucks will fit this model: Ford F Series, Chevy Silverado, GMC Sierra, Dodge Ram, Toyota Tundra, Nissan Titan. 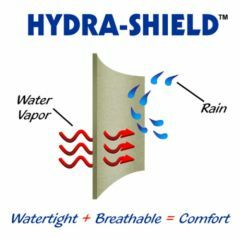 Made with Hydra-Shied 100% cotton duck canvas that is durable, watertight, and breathable. Our unique clamp-on rail design offers an easy and secure set up. Features five windows with no-see-um mesh, for ventilation, light, and openness. Has a cab access window. You can run a power cord from your cab to power your appliances. 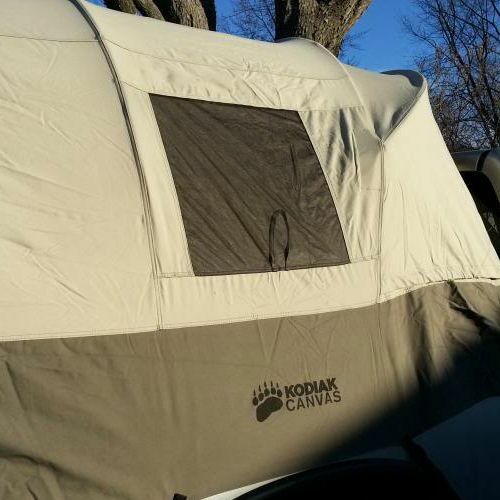 With its sturdy steel frame, shock-corded fiberglass poles and top-of-the line YKK zippers, the Kodiak withstands the strong winds and storms Mother Nature throws at it. 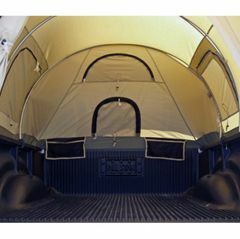 This tunnel-shaped, tailgate-down design maximizes interior space to the fullest, while the 5 ft. ceiling height allows for plenty of head room. 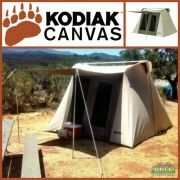 The Kodiak Canvas Truck Tent will keep the ground, high and dry, and away from critters. 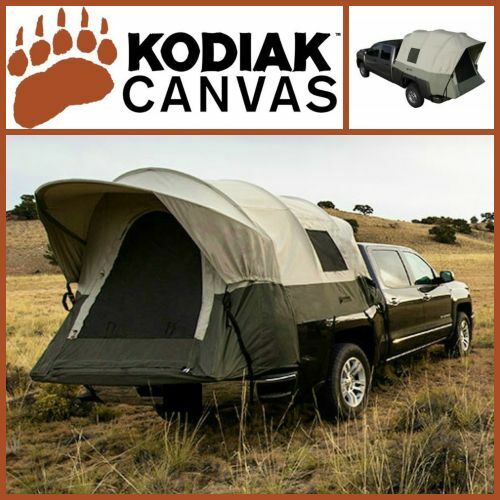 Pitch a tent anywhere your truck can go. 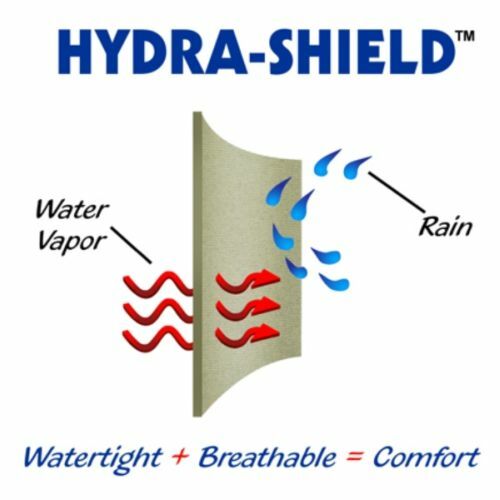 * Hydra-Shield, 100% Cotton Duck Canvas. 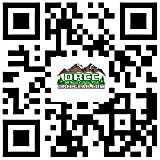 Durable, watertight and breathable. * Sturdy, 3/4-inch, steel tube frame. * Tunnel shaped design maximizes interior space. Tall 5 ft. ceiling height. 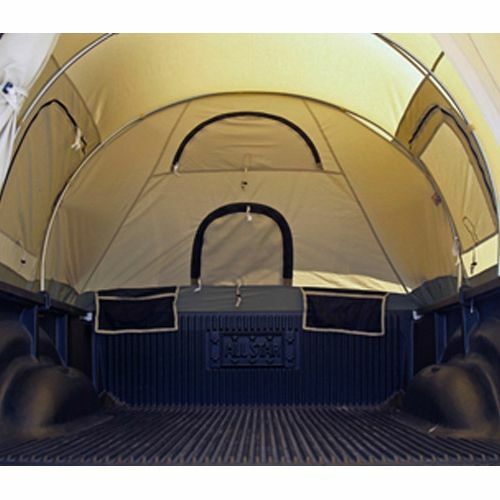 * Tailgate down design expands useable space. * 5 windows provide excellent ventilation and openness. 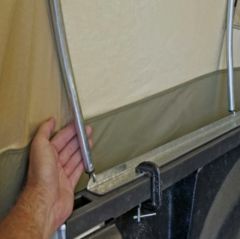 * Clamp-on rails easily mount on truck bed for secure fit. 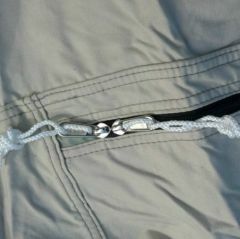 * Large D-shaped door with top of the line YKK zippers. * Two convenient gear pockets. 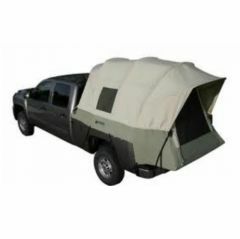 * Truck bed size with tailgate up, 8 ft.
* All-season: Use year-round, but not designed for heavy snow accumulations. * Warranty: Lifetime limited warranty.